The Art Car is a living, moving, entity that will house not only us but the hopes, dreams, memories, ideas, and expression of everyone involved. A truly crowd- sourced, self-sustainable vehicle for a new democratic age. The GistWe aim to create the space for people to share themselves creatively on part of our HUGE, SHOW STOPPING Art Car! It will roll across the plains of Burning Man, display the pinwheels of contributors fluttering in the breeze, and embody the sustaining nature of creativity by doubling as a living space during the 2012 Burning Man Festival in Black Rock, Nevada. We need your help to give this project the breath of life! Our MissionPeople from around the globe are encouraged to submit a piece of themselves on their pinwheels through pictures, prose, or their own art, which will form the façade of the Art Car. 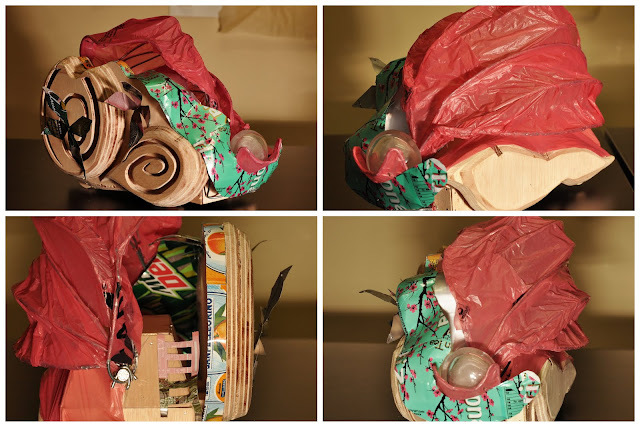 We will construct the Project Pinwheel Art Car from 100% repurposed materials. We will share our experience and growth with the global community through RISD film showings of our documentary, publications and a blog we keep during the process. We hope to inspire hearts and foster creativity to provoke thought and effect change, bringing the experience and creativity of Burning Man back to our school and our homes. Project Pinwheel celebrates self-expression and encourages unity and democratic action by incorporating everyone’s spinning pinwheel artwork. To bring home the experiences shared and knowledge gained through our time designing and participating in the project in a documentary and talks given in our own respective communities. This project is very dear to our hearts, both as students of the Rhode Island School of Design, participants of the Burning Man tradition and legacy, and responsible members of a global community. •	AS STUDENTS: We endeavor to make a statement with public art in a global community, to advance the principles of art and aesthetics, and to learn about the application of art and design to the betterment of society in line with the principles of RISD. •	AS PARTICIPANTS: We strive to live and explore the universal themes of environmental conservation, communal inclusion, self-expression, and civic responsibility at and beyond the festival. We extend the opportunity of Burning Man as a forum of thought and expression to everyone by integrating their thoughts and artwork into an aesthetic and thematic whole, contributing to the diverse culture of Burning Man. •	AS YOUTH: We see ourselves as part of a world-wide new generation of artists, inventors, designers and architects responsible for shaping and enriching our world. Through our project we seek to support and uphold the right of everyone to express themselves and the power of individual voice and shared experience to change our world. We hope you can join us on our mission to share and receive the artistic genius in everyone. Who We AreWe are four students from across the country, together at the Rhode Island School of Design in Providence, Rhode Island, each passionate about separate disciplines of art and design. Genevieve is a three-dimensional artist devoted to sculpting buildings. To our project she contributes her sensitivity to form, and go-get-‘em attitude towards working with wood, fabric, and found objects as well as her leadership and entrepreneurial nature. Josh is the inventor type, always thinking up new inventions and kinetic elements for our vehicle. His mechanically inclined mind helps to create a stable foundation in feasibility and functionality, as well as provide elements that provide visual impact as well as push interaction in new dimensions! Denali loves to paint, play with materials, choreograph and film, and spend time in museums. She has a tremendous eye for vibrant colors as well as the figure’s interaction with space. Her talents focus the transformative elements of the piece, which she will convey through her documentary film. Caitlyn is a well rounded artist who experiments with sculpture, interactive installation, and glassblowing. She strives to create work that leaves a lasting spiritual, emotional, and rational impact to increase the public's awareness of environmental and humanitarian issues, as well as to convey complex ideas about society, nature and the self. She makes sure to keep us true to the principles of Burning Man both in building the Art Car and in everyday practice. What is Burning Man?Burning Man is an annual weeklong self-sustainable city in Black Rock, Nevada, that experiments with aspects of utopian society: inclusion (everyone can participate), environmental standards (leave-no trace for 50,000 people), and creative expression (sculpture, architecture, and body adornment). It creates a setting for people to show their true face; how they really want to look, how they really want to be seen, and do what they really want to do. Our Art CarOur Sculptural Vehicle will debut at the 2012 Burning Man festival in Black Rock, Nevada. To fully participate in Burning Man, we are combining our design values with the Ten Principles of Burning Man, which includes a series of environmental practices that foster community inclusion and creativity. As part of our creative expression, we want to follow the self-sustainable and green philosophy of Burning Man by using 100% repurposed materials. We will drive the Art Car around Black Rock City for people to interact with the pinwheels within a meaningful space that fosters imagination, wonderment, and self and global reflection. Using the pinwheel, a symbol of youth, whimsy, and transformation, we aspire to change the way people interact with art and think about community. As children’s playthings, pinwheels captured the imagination of kids, representing creativity and innocence. Now as young adults, we call on them to release it now when we need it most, to bring the imagination and optimism of our youth to help shape our future. The pinwheel is an open-ended template. It is a blank slate waiting to be filled with photos, prose, secrets, or any other artwork. We encourage the viewer to put anything they want on their 8.5” by 8.5” sheet of paper, as long as it can go through the mail. By inviting the audience not only to have a say but a hand in the matter we give the power of the message back to the people. The audience becomes the creator, blurring the line between artist and observer, Each participant becomes a part of our team, spanning across the globe as the network of friends, relatives, co-workers, and interested individuals expands.. The Car is a collage of all our self-expression, our memories, our hopes and our dreams; it is the combined essence of who we are. It is the best of us, all interacting and moving together as a functional and harmonious whole. It is the real meaning of community. 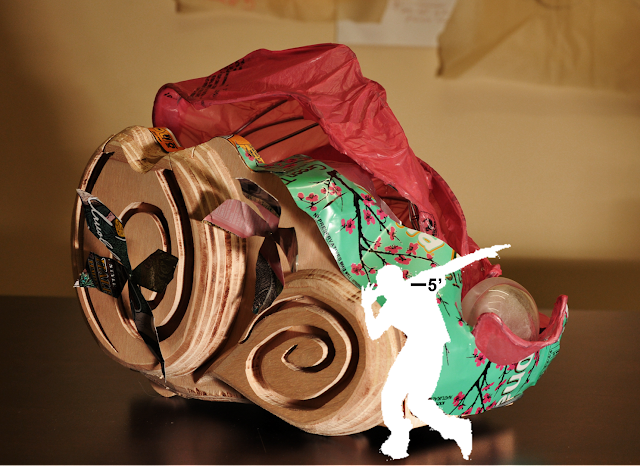 Only with creativity and community, the two elements embodied by Project Pinwheel, we can hope to change the world. It all starts with you, the guest artist! So pledge whatever amount you’d like, download the template PDF, and start expressing! DocumentaryThe documentary will capture the story of building the Project Pinwheel Art Car built out of found objects and pinwheels. The film will follow the project from the initial brainstorming stages to our last days at the festival, covering footage of construction, and periodic interviews with team members, those we touch, and fellow Burners sharing their reactions to the sculpture. The film will be shown at RISD and our own respective communities in the fall and distributed to specified pledgers in DVD categories. What is our timeline?Currently we are in the funding stages of the project, which will continue until May. Junk collection will begin in late May and the project will be built during the four weeks before Burning Man 2012, which will take place in August. The vehicle will debut August 27, on the first day of Burning Man and will remain on display until September 3, the last day of Burning Man. Pinwheels will be collected until July 1. Pledgers will receive their rewards by the end of October. What are the rewards?No matter the level, everyone will receive the Pinwheel PDF Template to make your pinwheel from. Directions included. Postcards: Perfect to send to those that need a bit of creative inspiration, each is professionally printed with a photograph of our Art Car in action! Three different cards. Project Pinwheel Art Car Book: Perfect for your coffee table, this beautifully designed, full color book will incorporate vibrant images of the Project Pinwheel Art Car and submitted pinwheels, maybe even yours! Documentary: A video of the Art Car’s journey from conception to debut as well as our unique experiences throughout the festival! Watercolor observation painting: A handmade, professional small scale watercolor painting done at Burning Man by one of our artists featuring the flare, excitement and eccentricity of the event. A DVD of the documentary is also included. See the right side bar, to find out what pledge quantity receives what. What your pledge funds (besides cool stuff for you):For the bare minimum, we need to raise $3800 to make the project feasible material and personnel wise. The more money we raise, the cooler our Project Pinwheel Art Car will be! Thank You:Thanks for reading and for your willingness to spin your pinwheel for the whole world! Deep gratitude and the Pinwheel Template PDF used to make your pinwheel. 1 Postcard featuring the RISD Art Car covered in pinwheels and the Pinwheel Template PDF used to make your pinwheel. 3 Postcards with different images of the RISD Art Car covered in pinwheels and the Pinwheel Template PDF used to make your pinwheel. RISD Art Car book, featuring images of the pinwheels and the RISD Art Car in the Burning Man environment as well as the Pinwheel Template PDF used to make your pinwheel. DVD copy of our documentary and the Pinwheel Template PDF used to make your pinwheel. 3 Postcards and the DVD with the Pinwheel Template PDF used to make your pinwheel. A hand painted, small scale watercolor painting of the excitement and eccentricity of Burning Man, the DVD and the Pinwheel Template PDF used to make your pinwheel. All of the above rewards, including the Pinwheel Template PDF used to make your pinwheel.